Stillpoint's Jasmine flower essence holds the energetic imprint and energy of the Jasmine sambac flower. The blossoms of this particular essence were collected at night in the presence of a full moon. 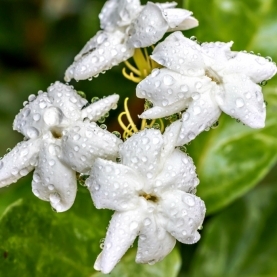 It carries the energy of the night blooming Jasmine blossom as well as the power, light and intensity of the full moon.